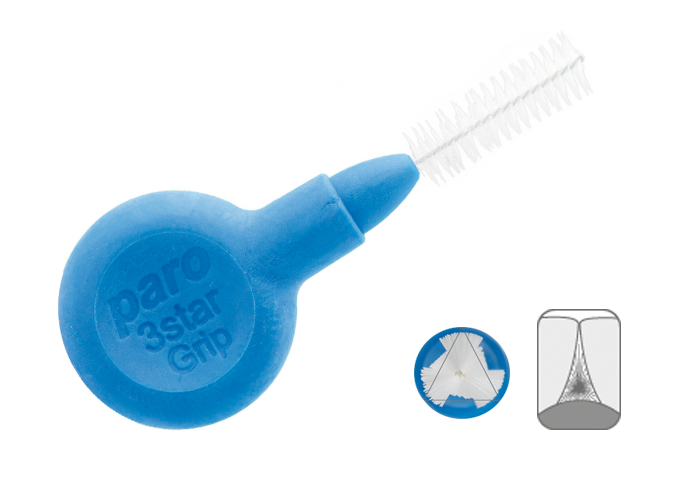 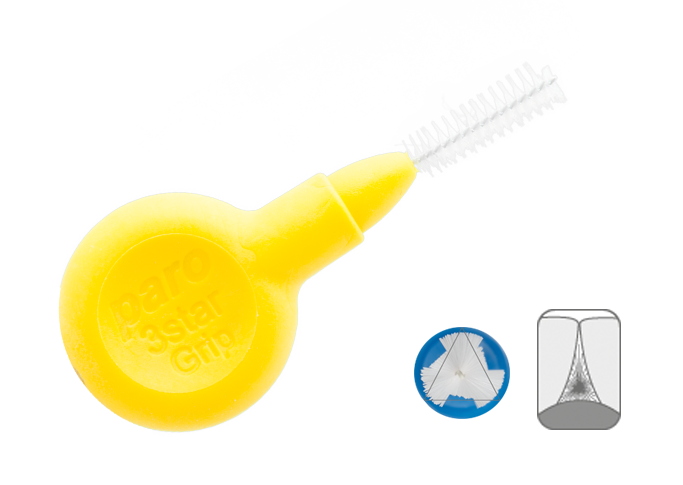 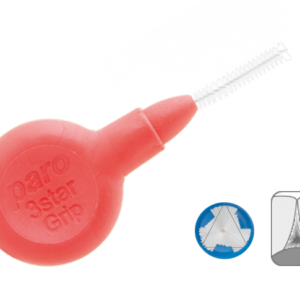 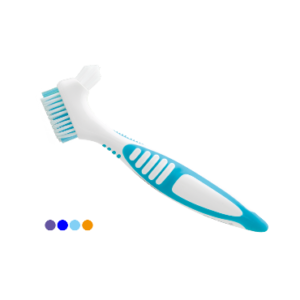 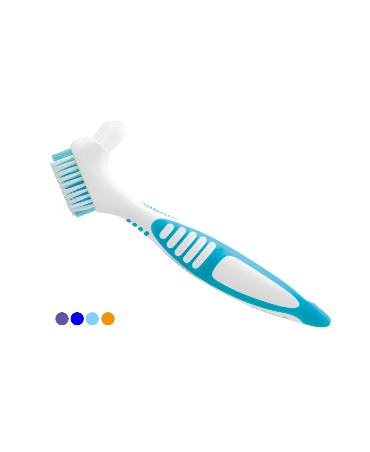 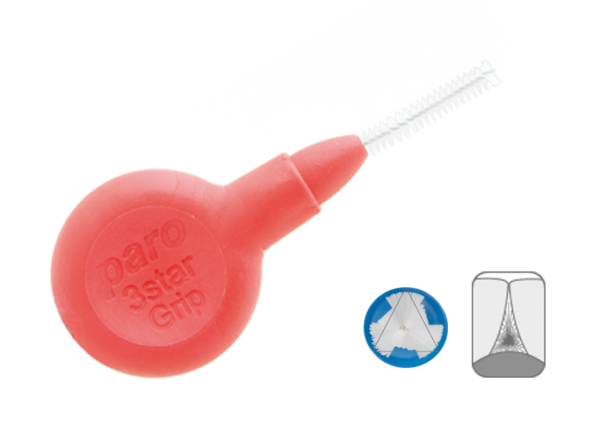 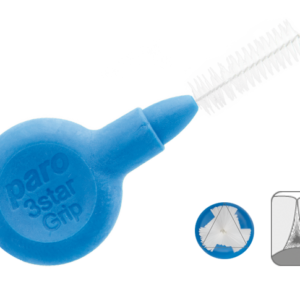 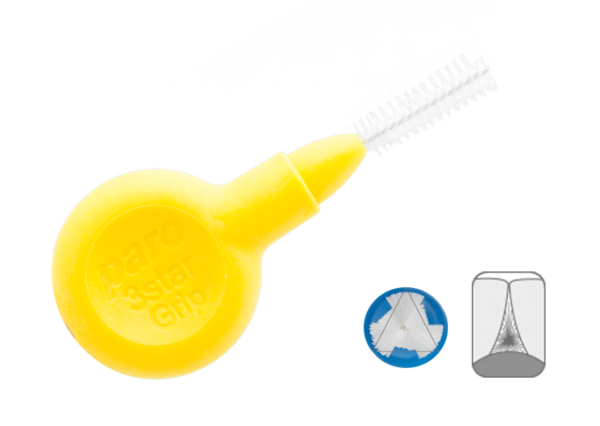 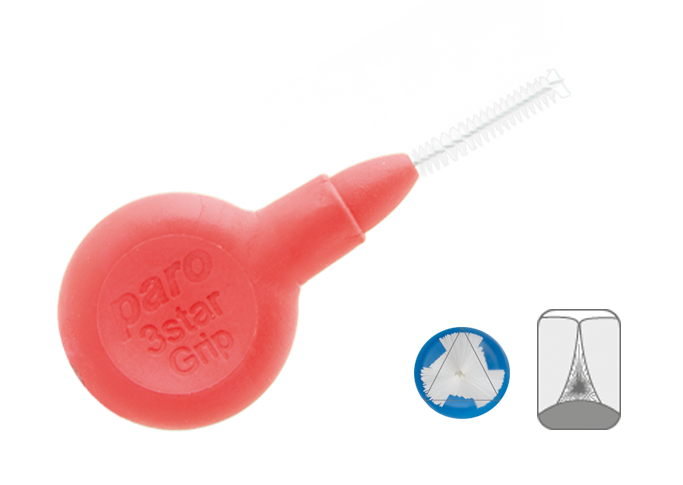 Thorough cleaning and simultaneous massage makes paro brush-stick a perfect choice in the treatment and prevention of gingival irritation. 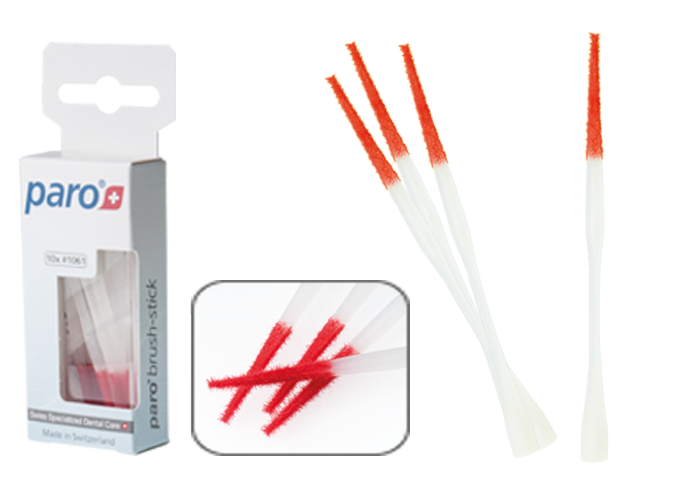 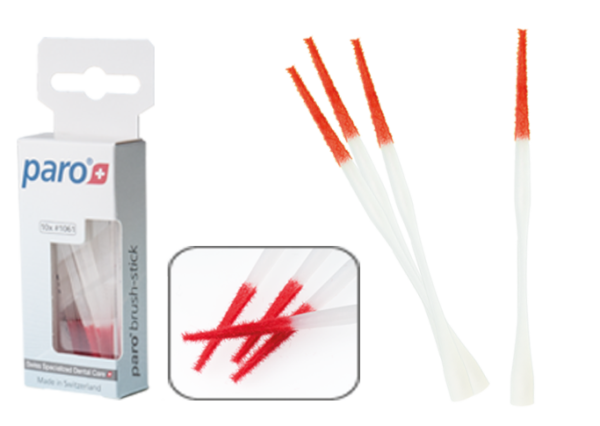 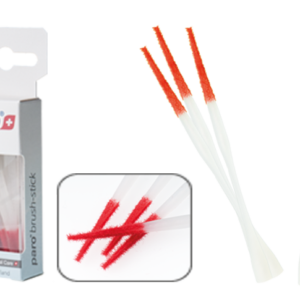 paro brush-stick has a plastic base which is covered with a velvety flocking. 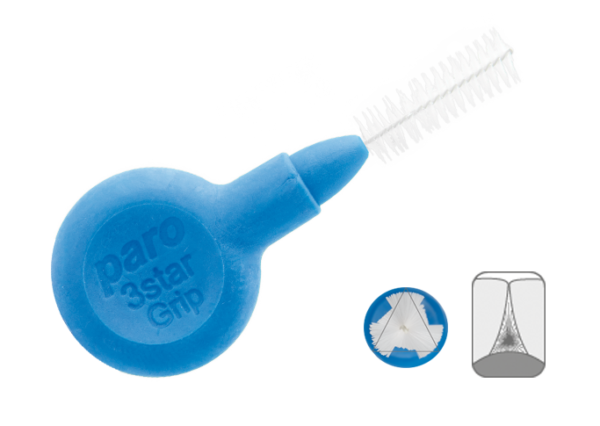 This additional covering is not only pleasant to use, but creates an easier and more thorough removal of bacterial plaque.